Android L's Project Volta set out to boost battery life on Android devices, and it sounds like Google's achieved its goal with flying colours. 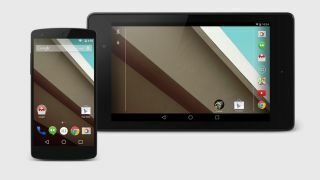 ArsTechnica has put Android L to the test and discovered that a Nexus 5 running new OS gains about 36% more battery life than one running Android 4.4 KitKat. For the test, the phone had its screen on, was connected to Wi-Fi, and refreshed a web page every 15 seconds. Even better, The Android test was done with "battery saver" switched off, meaning you won't have to sacrifice anything to get the extra juice. There are, however, a number of other features Google has added to help keep battery drainage down. One of these is the new JobScheduler API which lets Android batch unimportant app requests together for greater efficiency. There's also a new stat tracker named "Battery Historian" which makes gives a more detailed overview of which apps and features are draining the most power. And this is just the beta, remember. By the time Android L gets a proper release that 36% figure could be even higher.